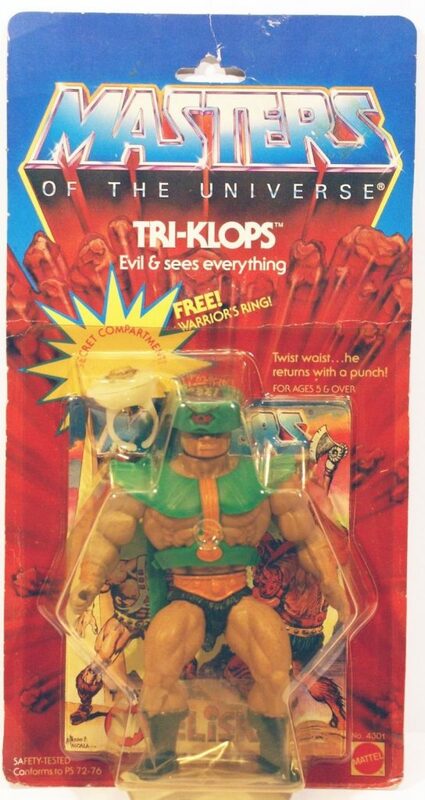 Tri-Klops, released in the second year of the Masters of the Universe toyline (1983), was the only evil warrior released that year that I owned as a kid. Sure, I coveted my friend’s Trap Jaw figure, but I soon grew to love Tri-Klops, and he got plenty of use in the sandbox. 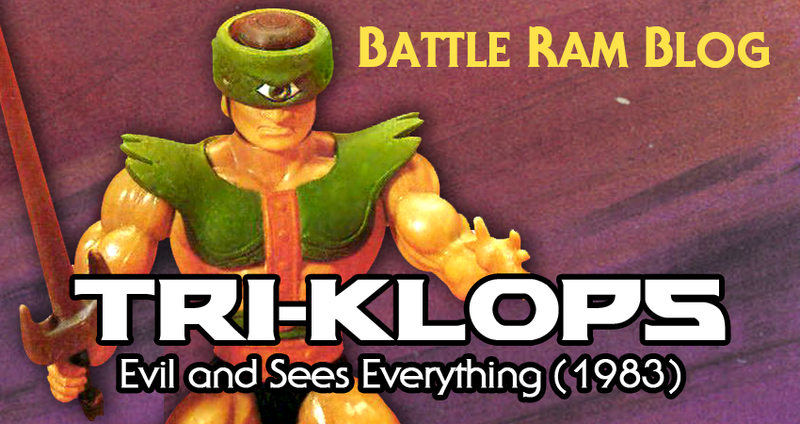 Unlike many of the figures I’ve covered so far, the designer behind Tri-Klops is not known. 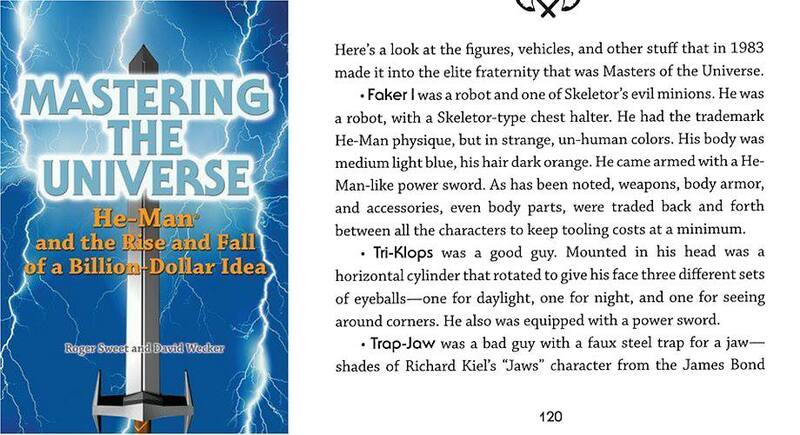 Update: It looks like Roger Sweet came up with the concept for Tri-Klops, according to Ted Mayer (see comments at the end of this post). 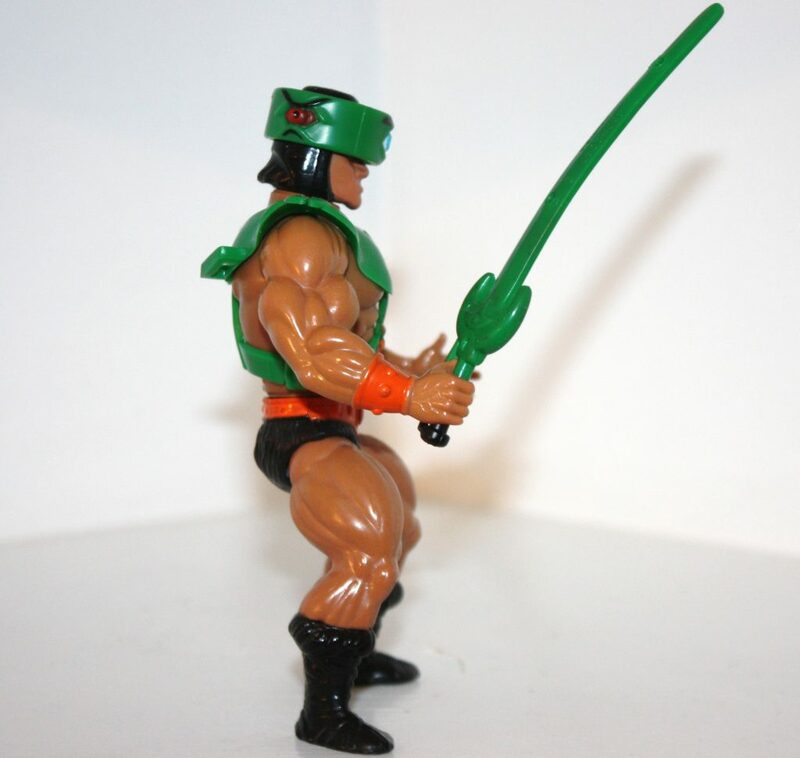 Ted, by the way, was a visual designer on the MOTU line for many years. 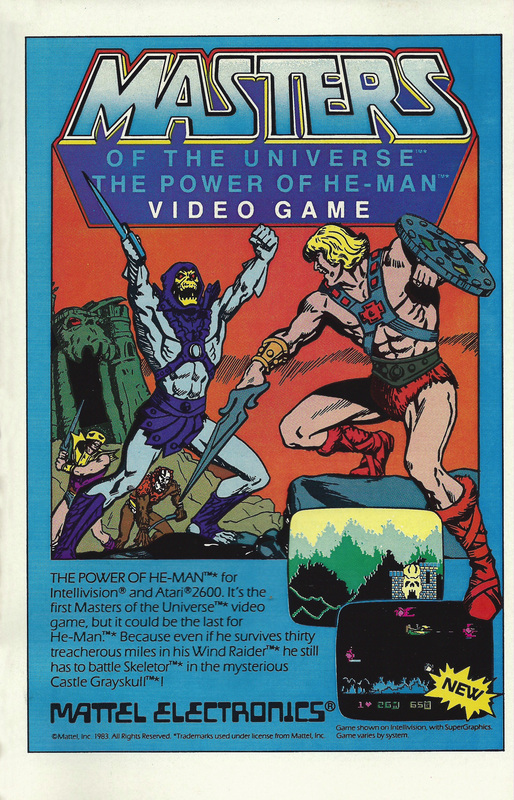 You can read about Ted’s contributions to Masters of the Universe here. Thanks for the insight, Ted! 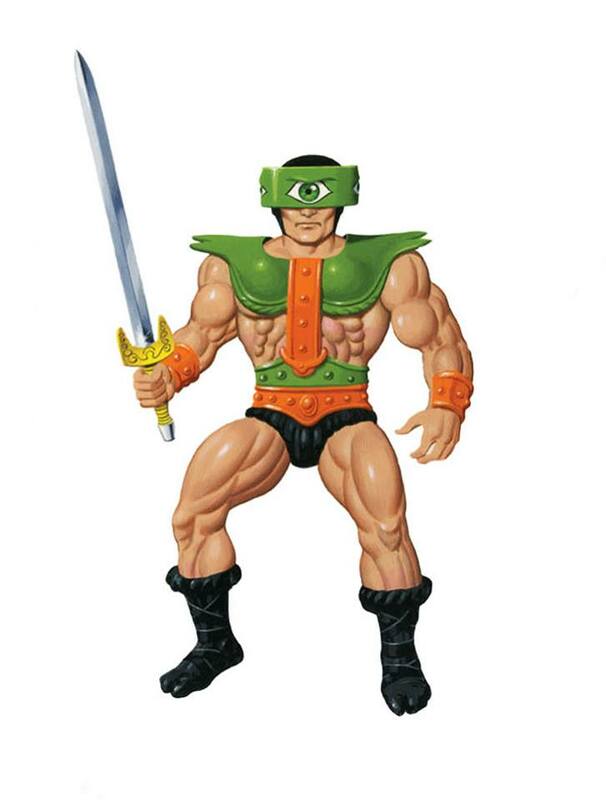 Tri-Klops uses the basic He-Man body (taking the detail up a notch by painting the wrist bracers orange) with a new head, armor, weapon, and Warrior’s Ring accessory (a glow-in-the-dark ring with an image of Castle Grayskull on it that could open up to reveal a secret compartment). It’s not clear from the language if Roger was misremembering or if that was the original intent of the character. If it’s the latter, that seems plausible enough, given Tri-Klops’ basically human appearance. 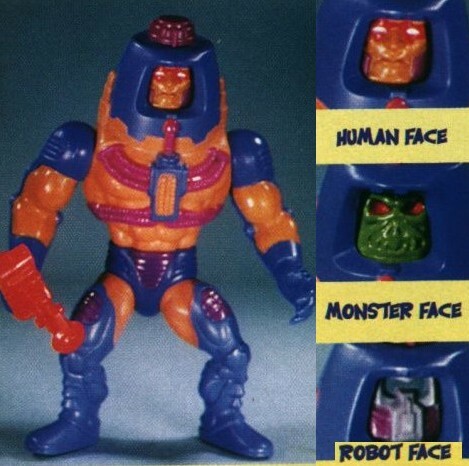 Interestingly, Tri-Klops was released with three different face sculpts, each with an increasingly severe scowl. 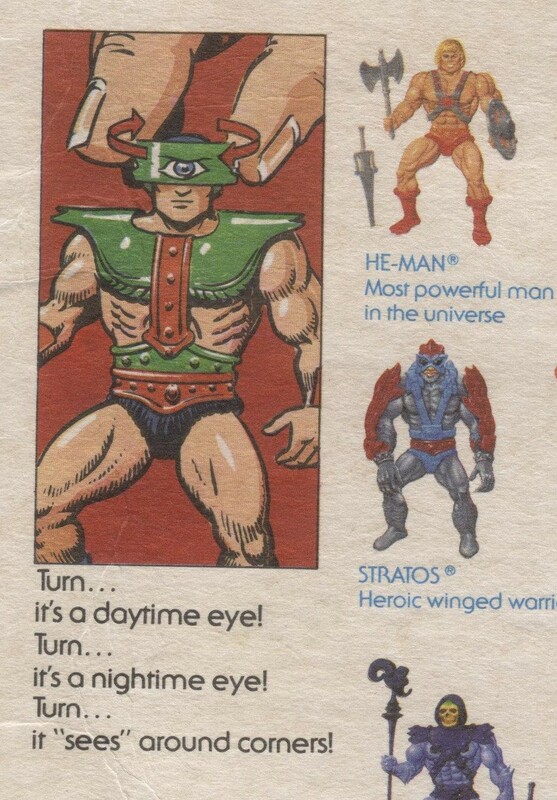 One thing that seems to hold true about MOTU character design is that when the appearance of a character in early comics differs from the final toy, it’s usually because the reference the artist used was an early prototype or B-sheet drawing. 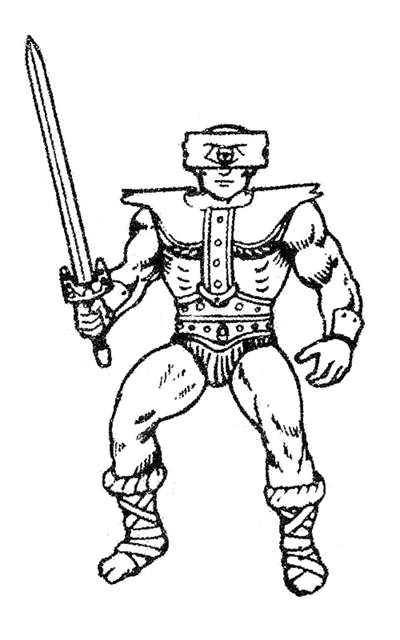 So I think it’s a fair bet that the design of Tri-Klops as he appeared in the mini comic, “The Terror of Tri-Klops!” represents a very early concept design for the figure. A few things stand out about this early design. He has unique dark red leather boots with white trim. 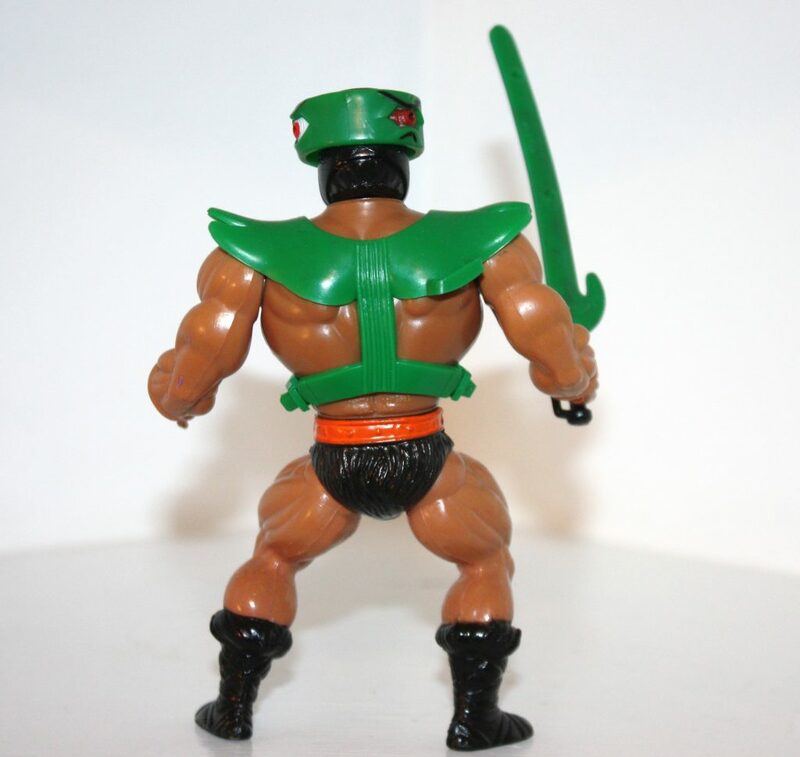 His belt is green as is his armor, with a red undershirt, red and white stripes down the front, and a white sash with green and orange ovals running down it. 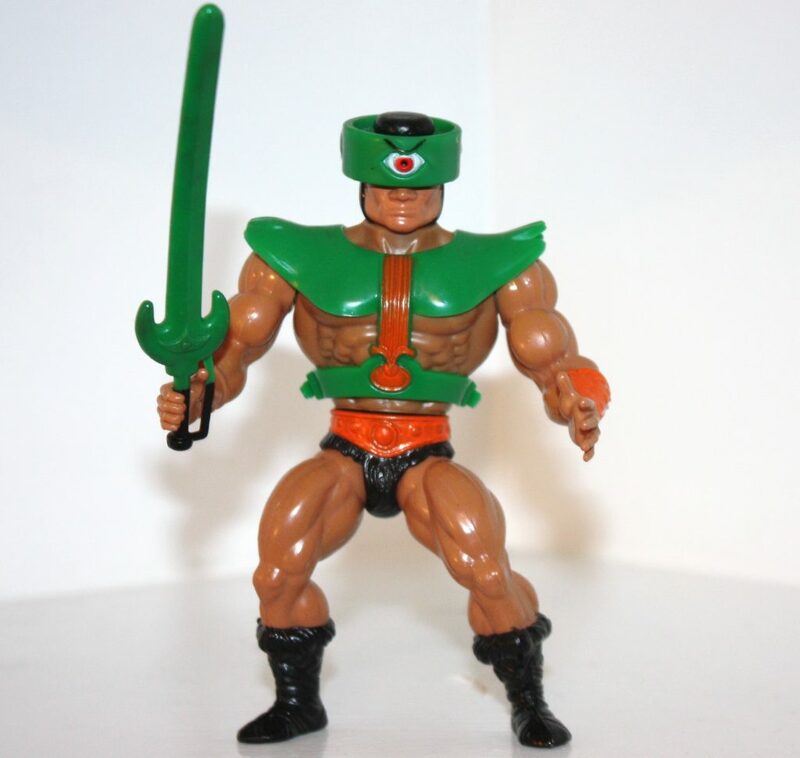 He sports green bracers, and his head gear is entirely green. The sculpt is identical to the finished toy, but hand painted. 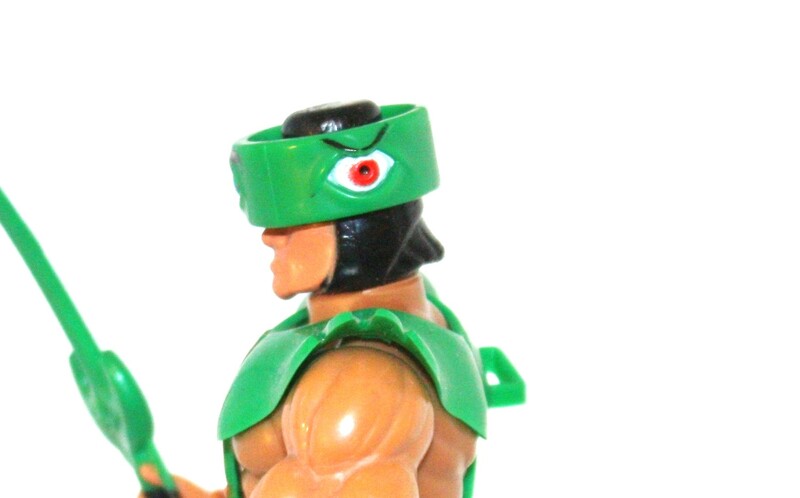 Note the unpainted bracers and the inverted coloring on his third “angry” eye. The dots around the bottom of his armor were removed. The dots running down the front of his armor were removed and replaced with straight vertical lines. 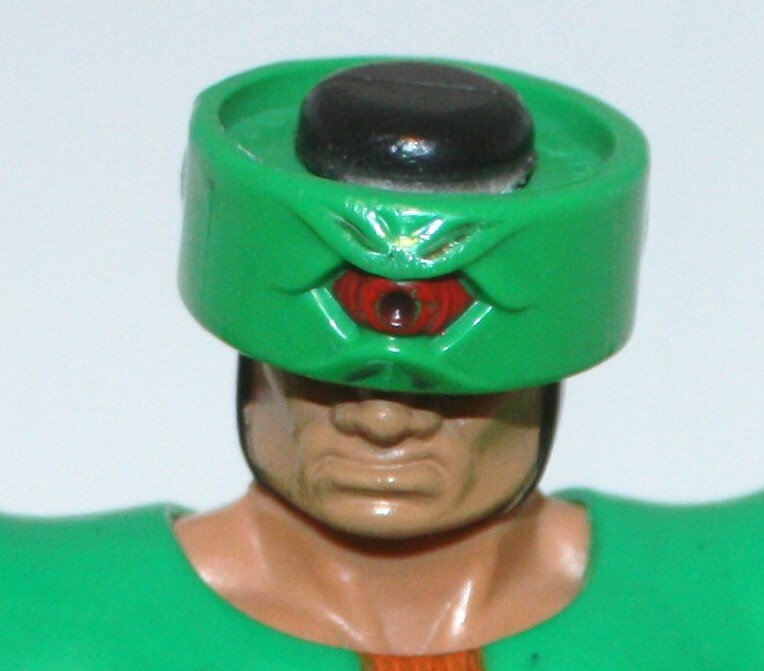 The green eye shown facing forward on the prototype was painted red. The crossguard of the sword was given a half moon shape, and the entire sword was cast in green, with a black handle. The top of the head was machined a bit differently to allow for easy of movement on the rotating eye feature. Notice the sculpted hair in the back. It’s easy to miss, as it is colored the same as the rest of his headgear. Let’s look a bit closer at Tri-Klops’ action feature. 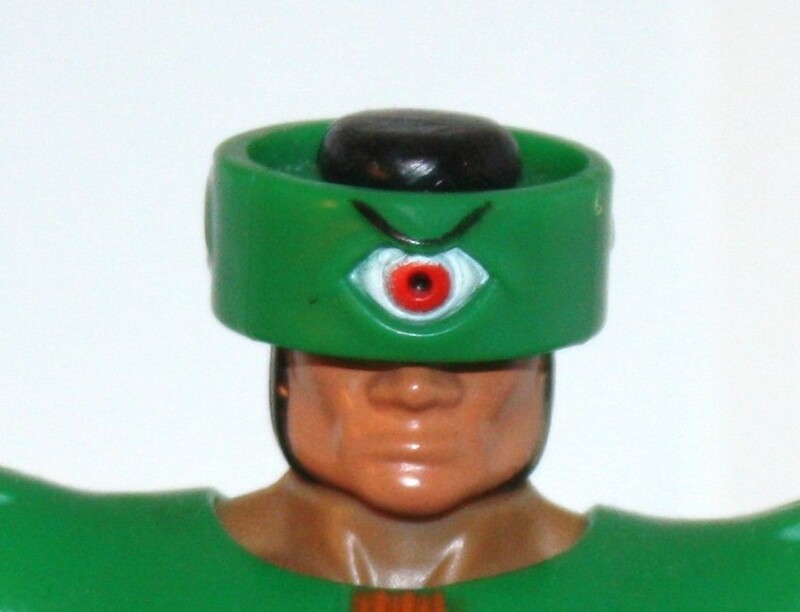 He has three eyes on his helmet that can be rotated around to show a different single eye at any given moment. There is a placid looking blue eye, an angry looking red eye, and a really angry looking red eye with red sclera (ie the “whites” of the eye). So there is a “daytime” eye, a “nighttime” eye, and an eye that can see around corners. 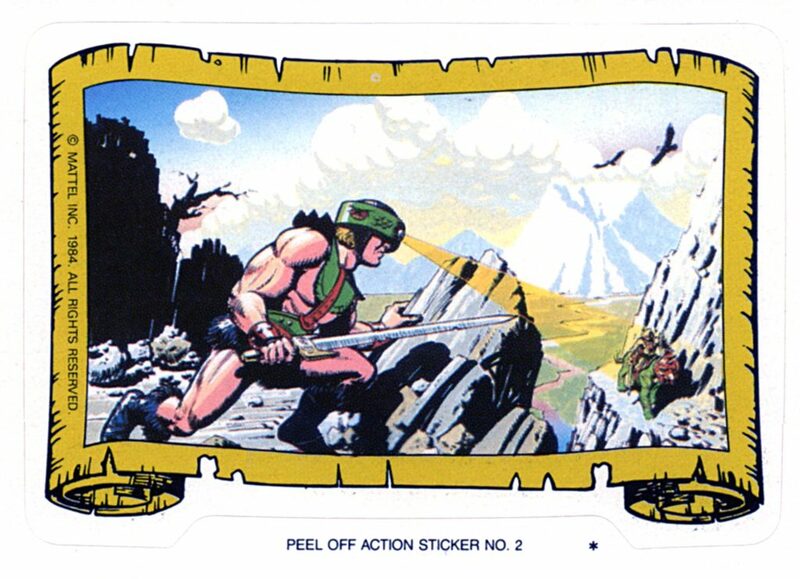 The artwork on the back of the card shows Tri-Klops looking through a rock to see He-Man riding on Battle Cat up a mountain path. He’s using the blue eye, although that may not mean anything. 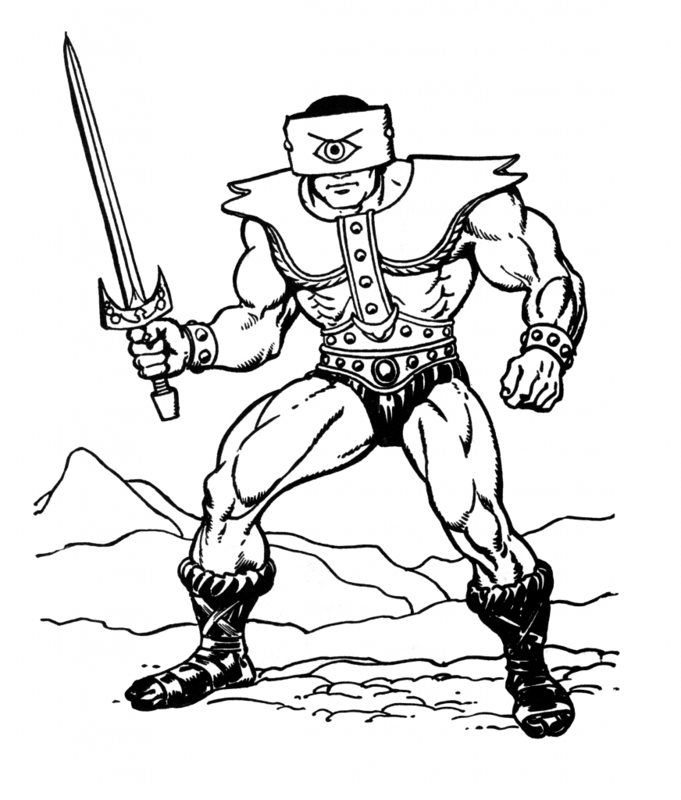 … brute with three eyes called TRI-KLOPS, a man with three eyes who could see, not only during the day, but in the dark and around corners with his Gammavision. 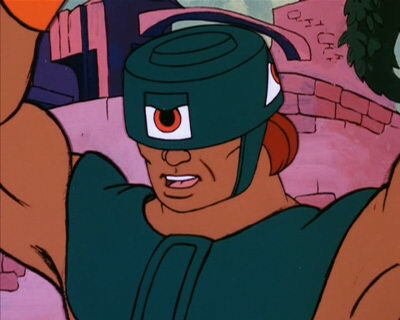 Further, in the Filmation cartoon, Tri-Klops had what was called “Distavision”, which is basically a telescopic eye. 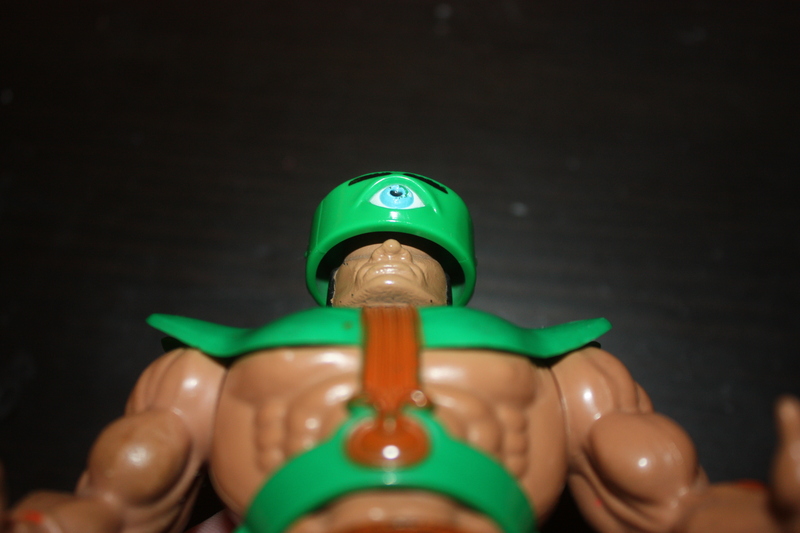 I doubt anyone at Mattel cared that much about which eye was which. The idea was to give kids a springboard for playing with the figure and making good use of the rotating eye action feature. Personally I would say that the blue eye is the daytime/distavision eye, the intermediate red eye is the nighttime/night vision eye, and the final red eye is the Gammavision eye. 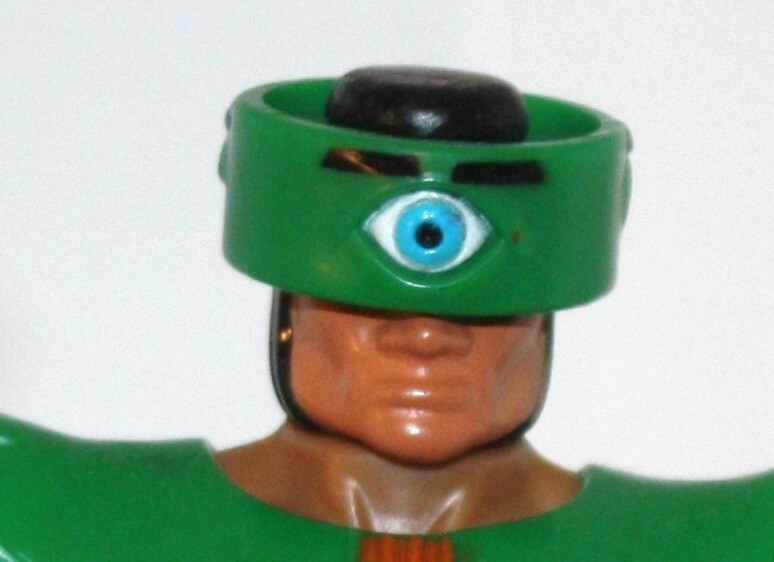 But honestly, as a kid, to me they were the friendly eye, the angry eye, and the really angry eye. 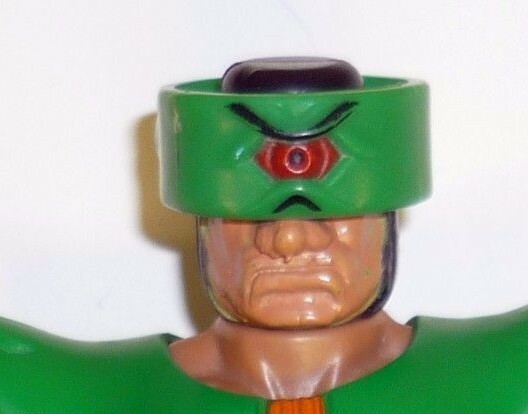 He was a like Man-E-Faces in that way. The rotating feature made him have different personality traits. 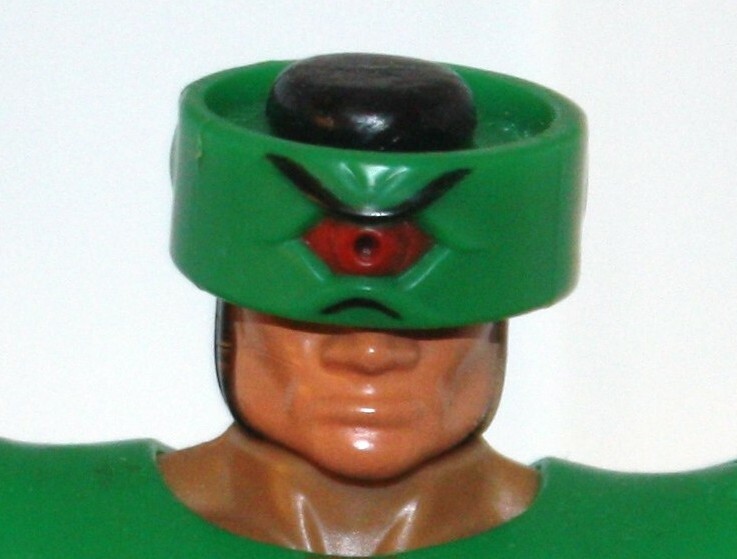 One thing I discovered as a kid that made me like the figure even more, is that if you peak underneath Tri-Klops’ visor, you’ll see that he has no eyes at all. It was creepy in the coolest possible way. 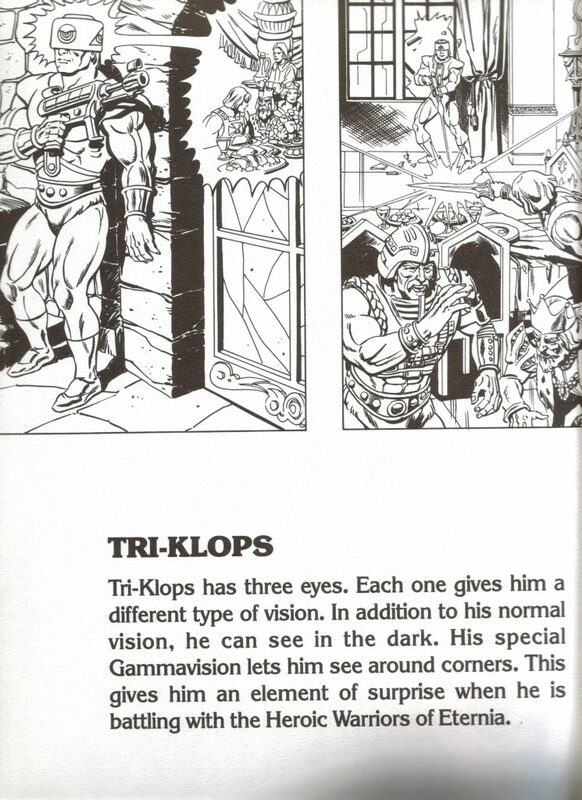 In his mini comic, Tri-Klops was a mercenary who was press-ganged into Skeletor’s service. 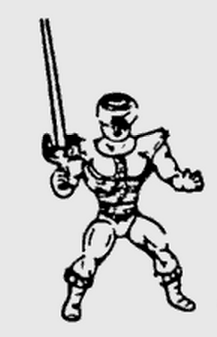 He is a very skilled swordsman who single-handedly defeats Battle Cat, Ram Man, Teela, and nearly He-Man himself. It doesn’t hurt, of course, that his panoramic vision makes it nearly impossible to take him by surprise. 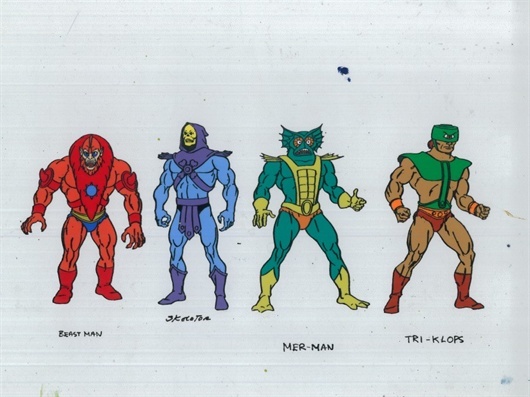 In the Filmation series, Tri-Klops is more of a generic henchman. He was, in one episode, given the ability to fire lasers from one of his eyes, which makes him less of an interesting character, in my opinion. At that point he just becomes a walking gun. 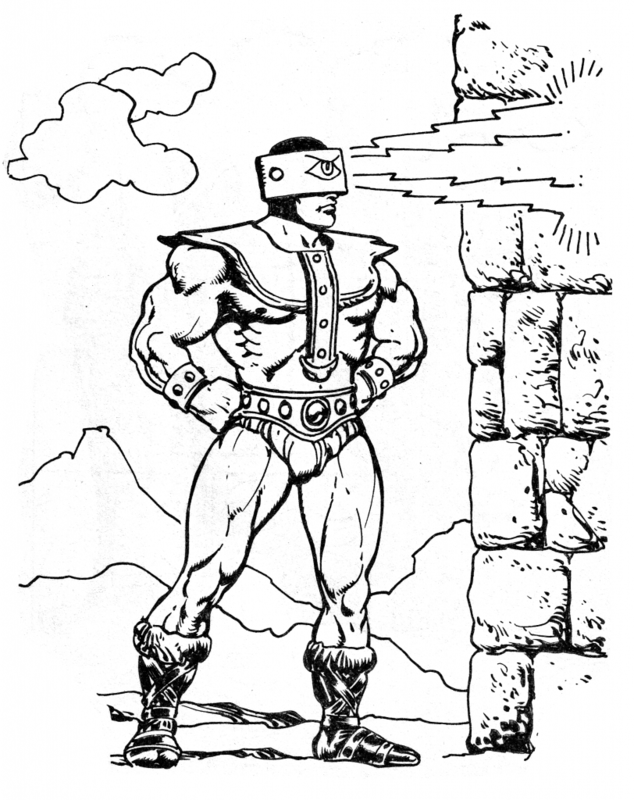 In the mini comic he can project blinding light through one of his eyes, but that ability does not replace the need for swordsmanship. 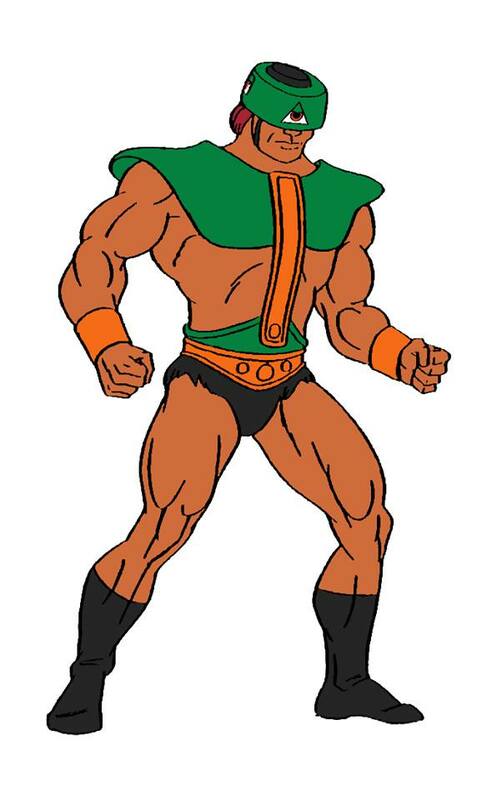 In the Filmation series, he has the same color boots and loin cloth as He-Man (perhaps as a way to reuse animation). His overall look was simplified, but his eyes were changed into three distinct geometric shapes: a square, a circle and a triangle. This gave his visor a more mechanical look than the original toy. Special thanks to Jukka Issakainen for providing many of the images used in this post, including the opening graphic, and for cluing me into the “mean face” version of Tri-Klops. Very interesting, thanks for the insight, Ted! That’s a great point about the back of the mini comics, Matthew. Your theory makes a lot of sense to me. Also, the 8 back cards list Zodac as “Cosmic Enforcer”. Later you can find him labeled “Evil Cosmic Enforcer” in some mini comics. The sword seams to have more curved the guard a BIT more then changing shape.. Interesting how the prototype body armour seamed to fit the body better. the top green part just above the belt making it look like a bigger belt, more then the gap. 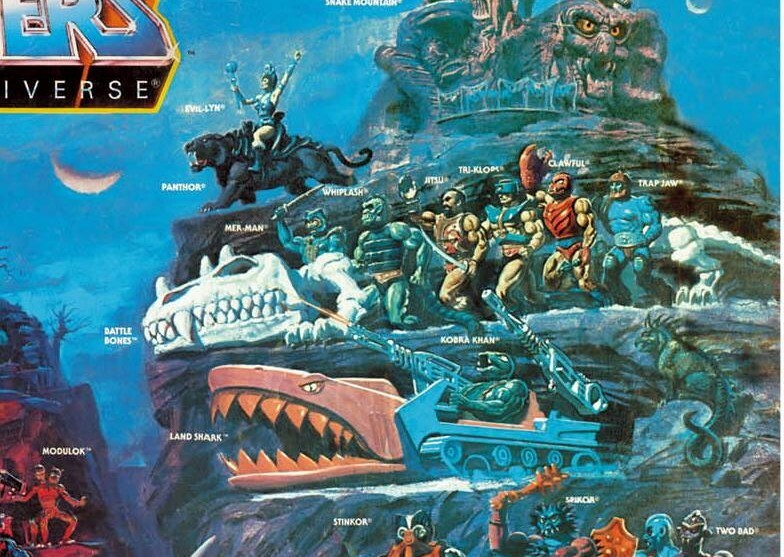 Probably tweaked to make sure enough room for the punching feature..
Also.. are you sure that Ring is meant to be Grayskull? 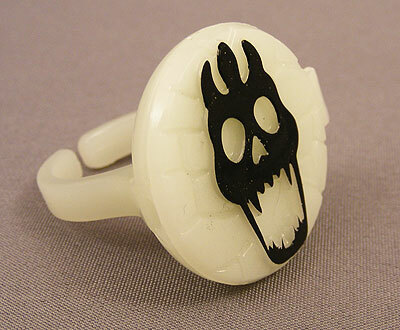 seams more just like a open mouth skull with 3 horn like bits along the top to me..
Hi, in regards to the skull ring, it doesn’t say anywhere on the packaging that it’s supposed to be Grayskull. 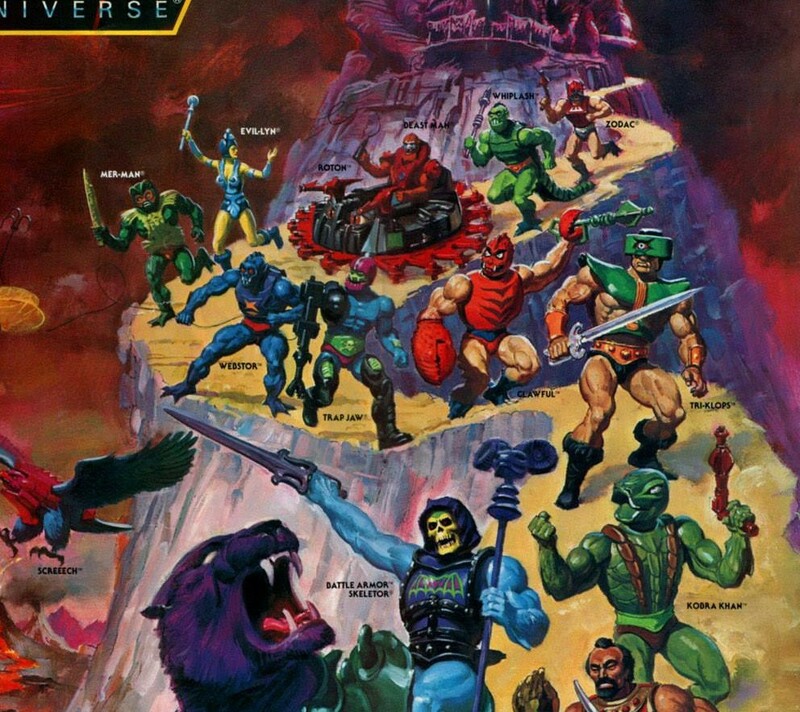 But it has the elongated teeth and the same shape shown on the helmet of the castle, so I think the prevailing idea has been that it represents Castle Grayskull. Also the pattern on the background looks like a stone wall, like the side of the Castle. Aw man. 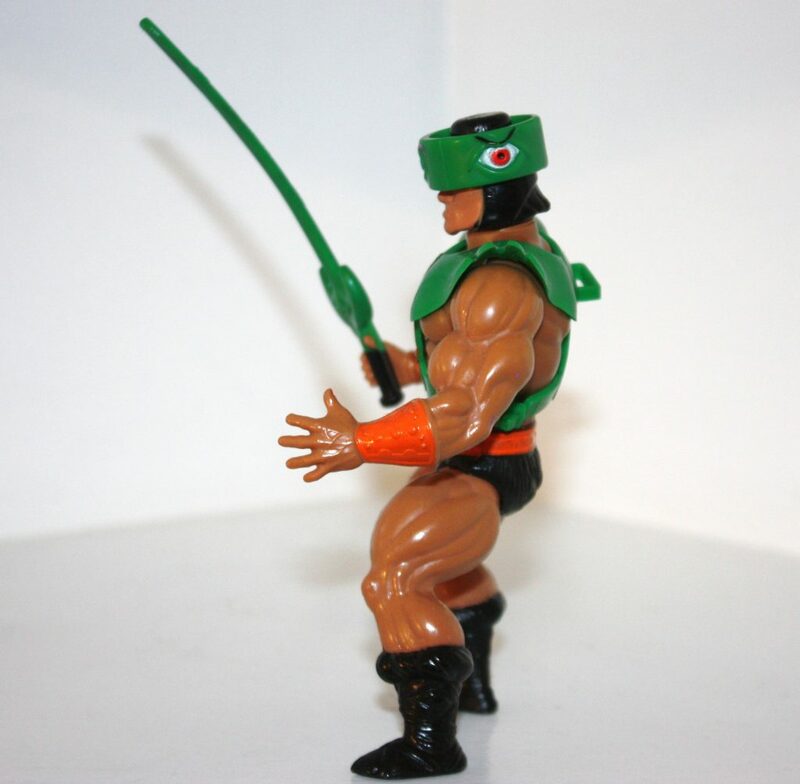 I love the site but this post made me realize my childhood Tri-Klops had unpainted bracelets..and though I’d like to chalk it up to a paint variation, upon further review it appears he just has swapped out He-Man and Zodac arms! Off to eBay, I guess! Great input, as always! Thanks again for putting these together! 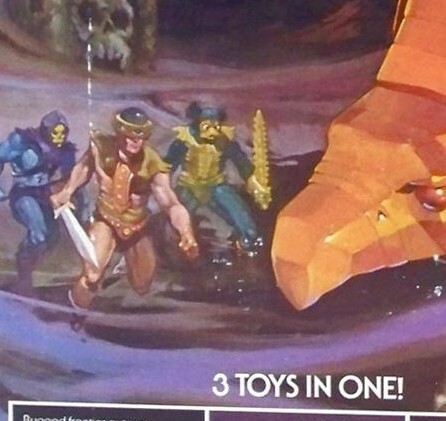 Given how closely the Classics line seems to hew to the cross-sell art, it’s a bit interesting to me that the Classics Tri-Klops doesn’t have that gold-hilted sword. Never had Try-Klops as a kid, but I aquired a used one (and without armor and sword) the last year. 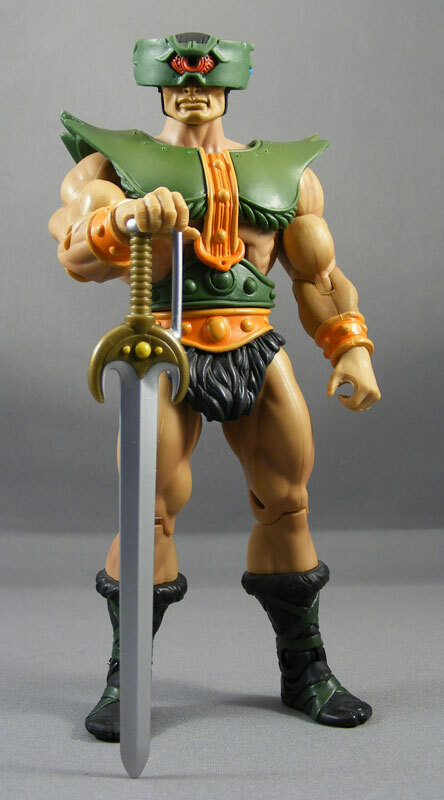 I didn’t know about the different versions of the headsculpt and sadly I got the worst one: even if I bought him to use his body to make a basic He-Man (yes, I don’t have a basic He-Man figure: long story… sigh), I like Try-Klops so I want to customize him, eventually. 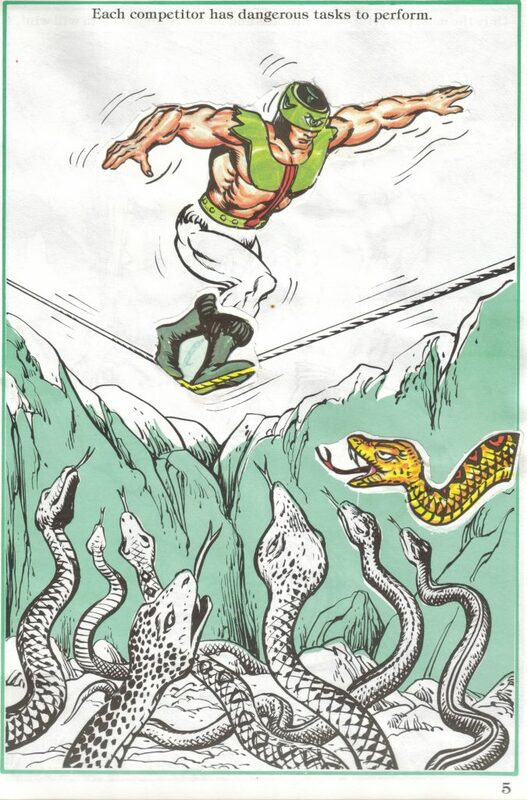 I like very much his depiction in the mini-comics: although not amicable or nice he was not depicted as a plainly evil character but as an amoral sellsword. 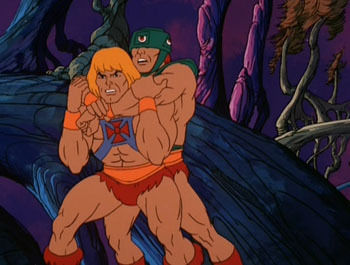 Technically even He-Man could have hired him and Try-Klops would have no qualms about fighting on the good side. I do like that minicomic origin story. I’m glad he was given the green and orange costume, though – I feel like the version in the minicomics is way to “busy”. 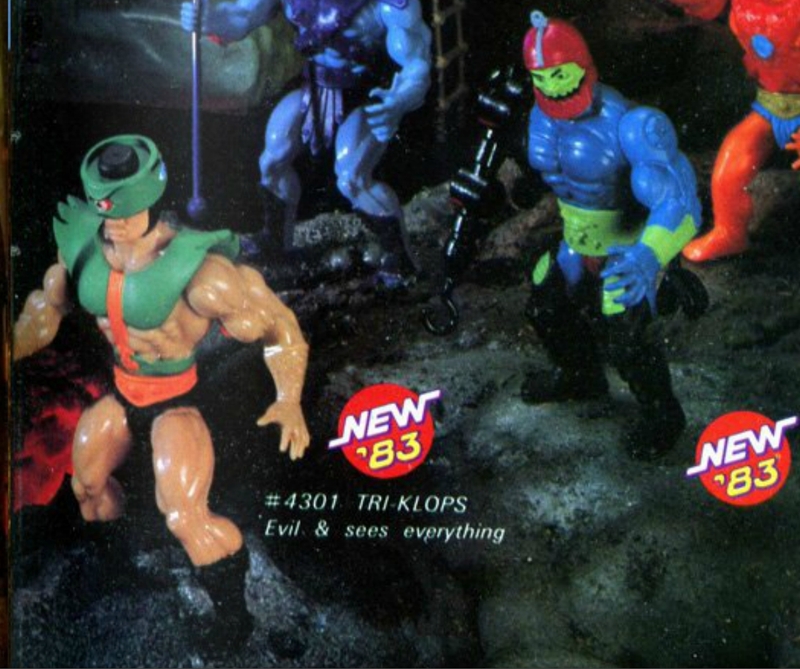 Beyond the iconic Skeletor, Tri-Klops is in my top three favourite Evil Warriors (and actually my top three favourite of the entire line, with Faker generally being my favourite and Trap Jaw in close second place). 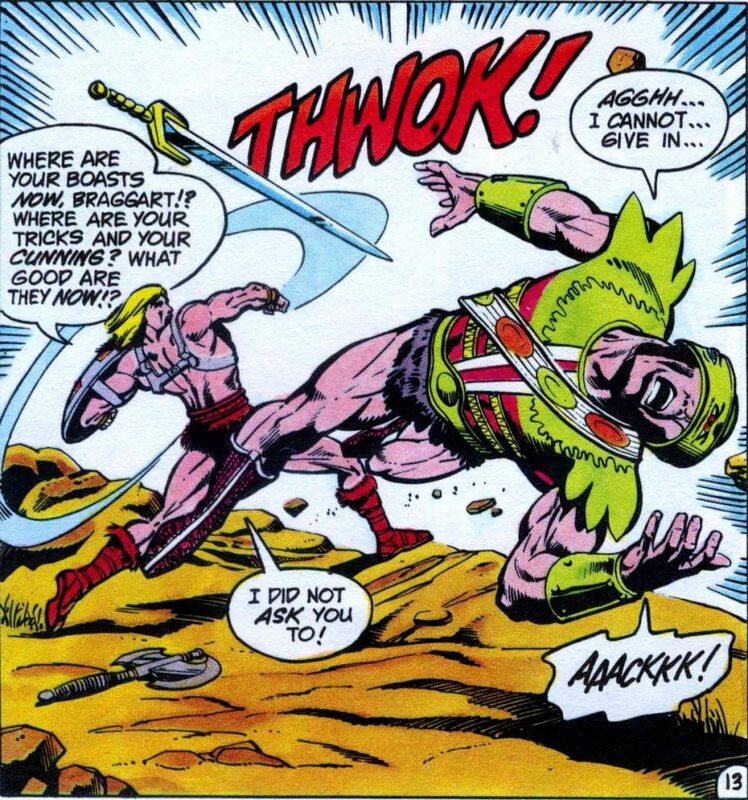 He’s perfect in that the design concept is simple and works well, and I love that he combines that early ‘barbarian’ feel of the line with just a touch of sci-fi, without being over-gimmicky like many later figures. 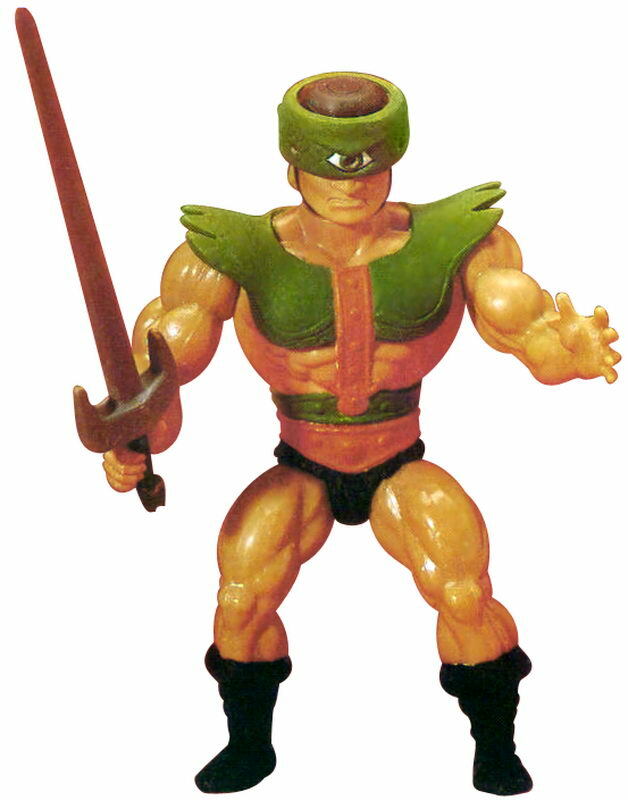 The figure (which I purchased early on, the same day as I got Teela) was one of my favourites, and one of my most distinct play memories from childhood is of having my other figures hanging on the sides on my mother’s huge red washing basket in an ‘arena’ with He-Man and Tri-Klops duelling it out in the middle, gladiator style. With regards to the different face molds, my original childhood TK has the ‘worst’ style, that looks like he is jutting out his bottom lip, making his face look quite distorted. Even this didn’t stop me loving the figure though, and it wasn’t until collecting the line on the second hand market years later that I realised there were quite a few face variations. (I also found several “in-between versions beyond the main three versions shown in the article, but as with most of my “well show us the proof then” memories, that set is now sadly long since sold to help make ends meet!) I wonder if the ‘jutting lip’ version was the earliest and came out distorted due to the much harder plastic head than standard for the line (to allow for his eye-ring to stay secured) and later it was refined to look better? The mini-comic look of TK always intrigued me. 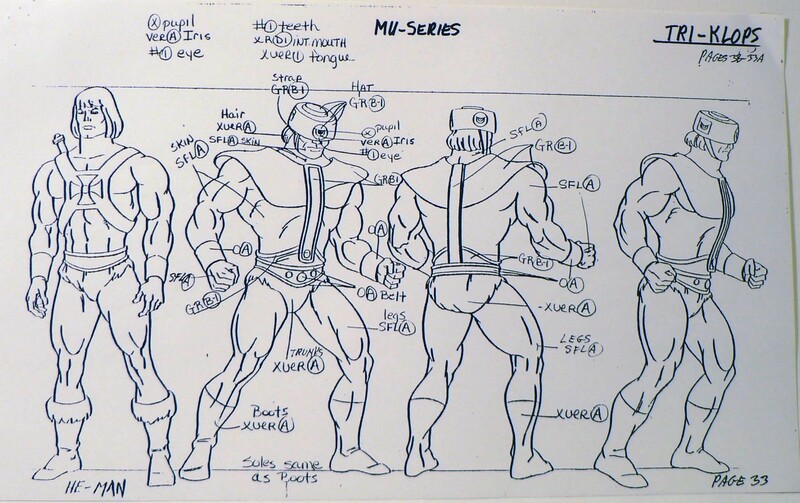 Although I often deducted that many of the appearances were based on prototypes, with TK I always felt that the artist had been given more than a verbal idea of the character and it was their own interpretation of what the body might be like. Even though it does look slightly busy with the sash (sword holder?) I really like this look personally, and wouldn’t have minded a Classics realisation of it. Regarding the ‘strangely coloured’ version of Tri-Klops on the video game ad, I believe this is actually just his mini-comic look. 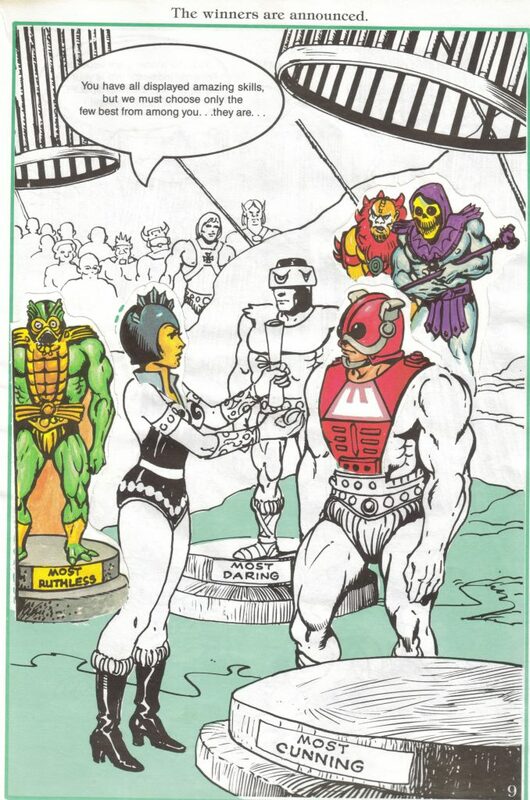 In the early mini-comics TK’s armor was often illustrated very light lime green, which isn’t far off from the colour in this ad, and the purple ‘under armour’ matches that mini-comic look too, just with less detailing. One thing I’ve often noticed over the years too is the prototype and early illustrations also have a design between each eye, almost looking scale like (it can be seen on the back-of-box art and also I believe on the earliest prototype if you look carefully). The final figure’s armor was good but I wish we had seen it as cool looking as the prototype, including the same shade of green. Can live with it through. 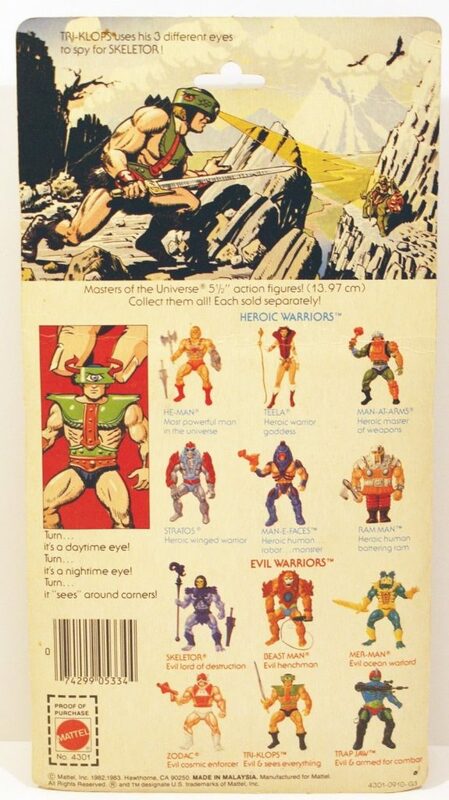 I loved the glow-in-the-dark ring that came with the figure (my Trap Jaw had one, too) even if it was so small that nothing could be stored inside other than paper. 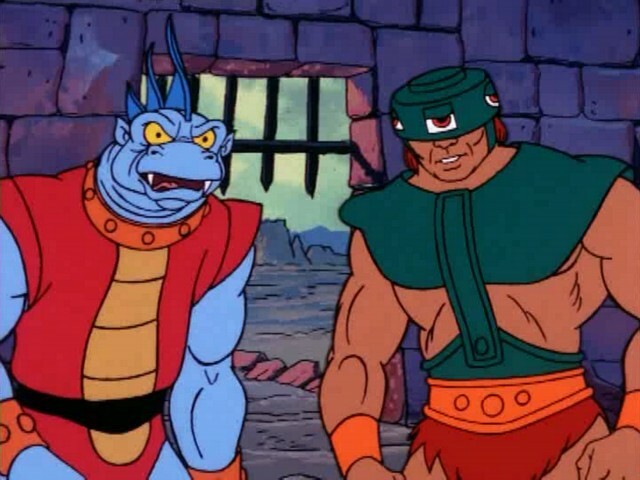 I took always took the face to represent the skull from Castle Grayskull, with identical teeth and ‘crown’ and even a jagged brickwork-type design behind it. I love the early concept of Tri-Klops as a mercenary, a kind of bounty hunter open to the best offer, but with his own agenda and basically working as a solo warrior. 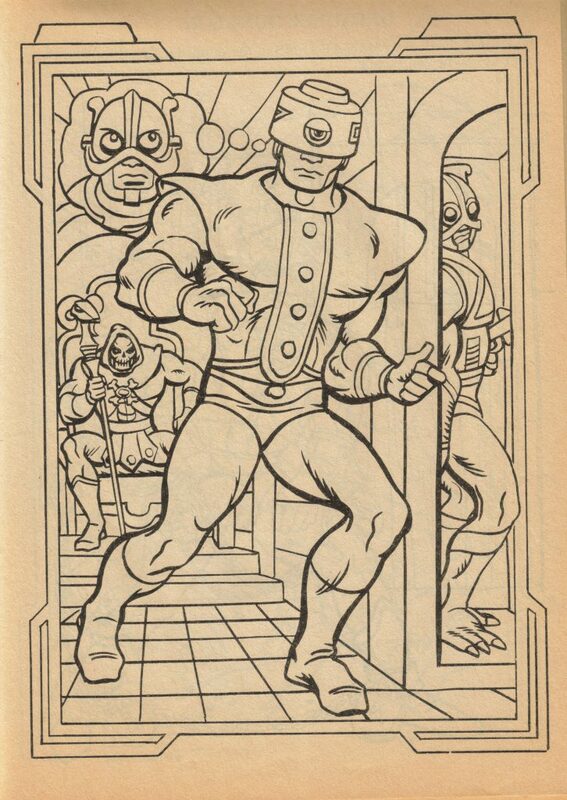 Often over-looked is his own code of morals seen at the end of ‘The Terror of Tri-Klops!’ mini-comic, which suggests that despite being a villain he is still tied to some kind of (warped) moral code of honour (again, in keeping with his ‘bounty hunter’ vibe). It’s a shame that from such a strong early start, the character was dropped into the background of the line beyond cameos, whereas I feel he could/should have been one of the main players. 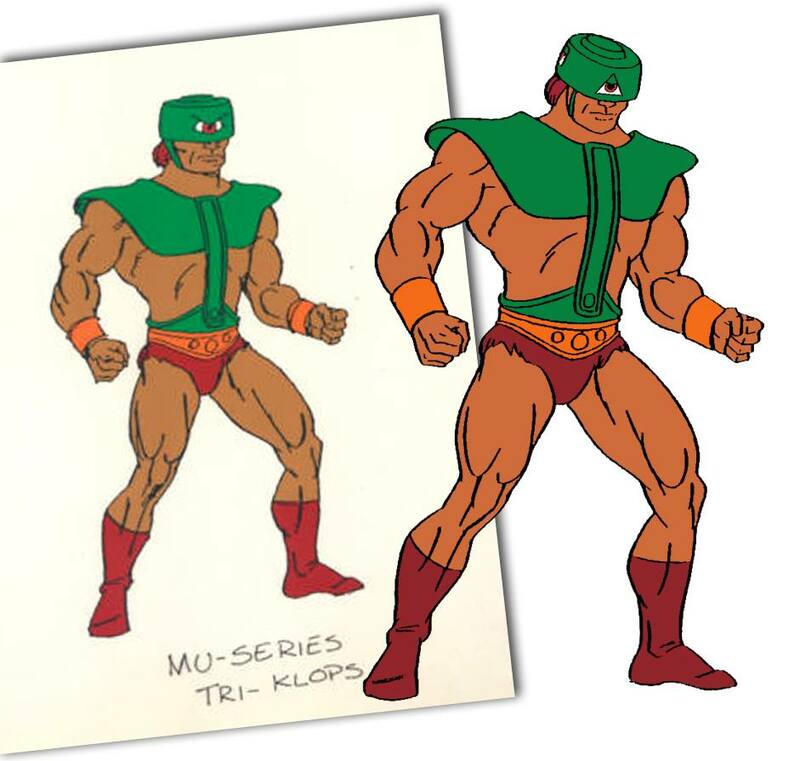 In my own MOTU world, which is based around those classic first to waves, Tri-Klops is one of Skeletor’s most cunning and intelligent rivals, possibly even rivaling that of Evil-Lyn. He is cunning, a master swordsman, it’s also suggested he is very strong… his eye headpiece is in someways just an addition to all of this. It was disappointment what Filmation did with the character. 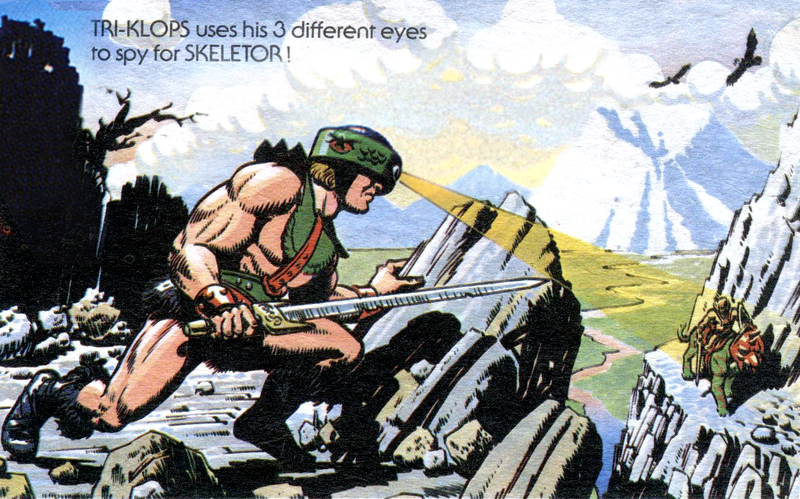 Yes many Evil Warriors were dumbed down into goofy henchmen, but ‘Klops seemed to get a particularly raw deal. Many extremely generic and ‘dopey’, and unlike the other Evil Warriors from the first two waves, only had I believe ten appearances in the entire series! 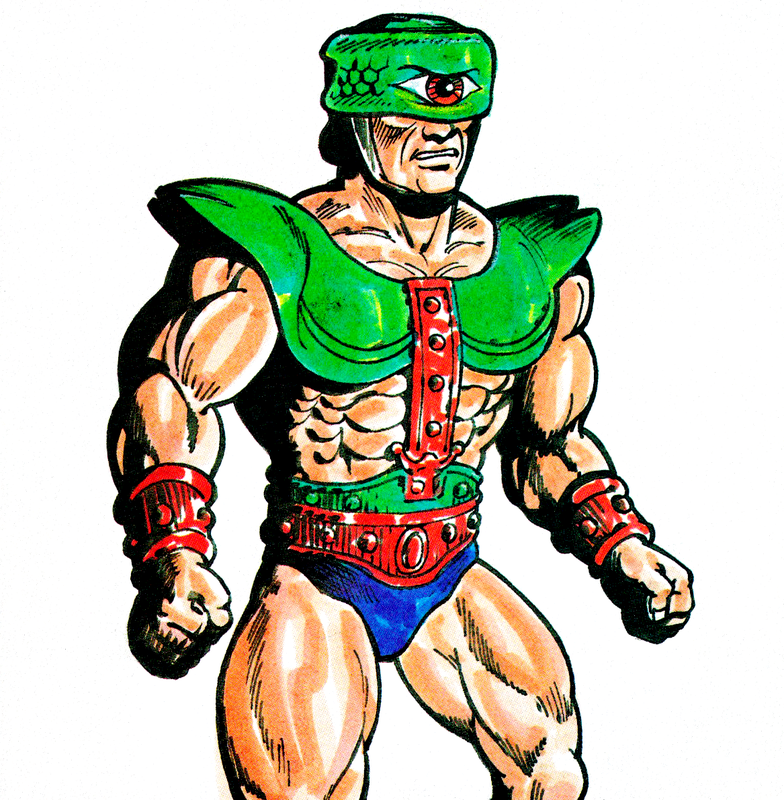 His figure’s wonderful costume was over-simplified too – drab green; over-simplified armour in which they couldn’t even give him the orange stripe, and yet IMO pointless shaped eyes. 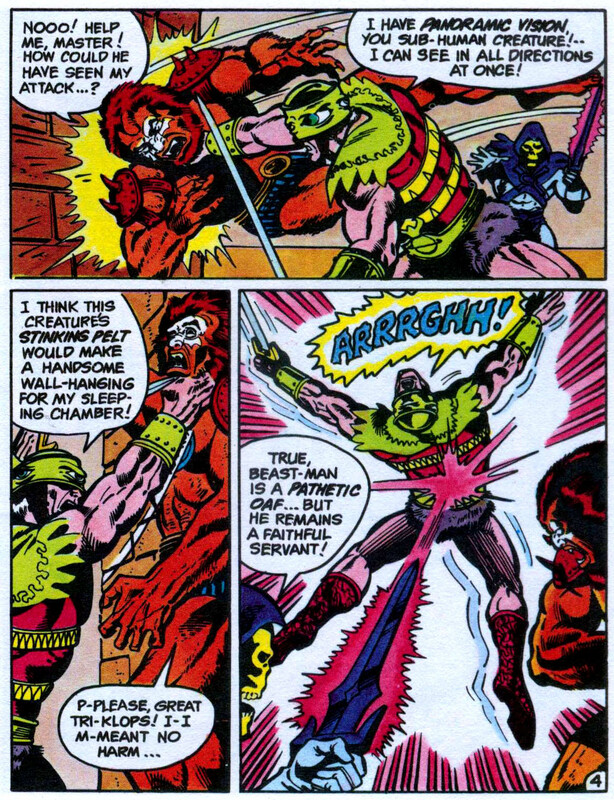 That said, I never much liked 200x’s interpretation of him as Skeletor’s scientist creator – I always had Trap Jaw down for this role for some reason. Classics Tri-Klops was okay and captured some of that prototype magic… woulda liked to have seen the amour lighter still, and the armour seemed a bit lazy and unfinished on the back to allow for the ab-crunching movement (and issue of ‘how to implement’ that affected many Classics figures). P.j. Gathergood – I were thinking about the scales the nature of the headpiece (magical, mechanical or part of Tri-Klops anatomy) just few moments ago, because I’m customizing my Tri-Klops, but I never noticed before that they are also present on the prototype: good eye. At this point I think that the headpiece is prolly made from the remains of some scaly magical monster that he slayed. Me too I never liked the depiction of him as scientist in the 200X: the role seemed so much forced on him altough I appreciated the creepy factor about how the headpiece was attached.